Groundhog’s day is coming! No, not the Bill Murray movie AGAIN (the movie seems to return almost as much as Groundhog’s Day does in it). February 2 is the celebration of Imbolc, Candlemas and Groundhog’s Day. The underlying theme of each of these festivals in the beginning of February is the coming of spring, renewal and hope. This entry was posted in Animal Guides, Imbolc/Candlemas, Nature Wise, Wheel of the Year on January 25, 2017 by Debbie. This entry was posted in Tree & Plant Wisdom, Wheel of the Year, winter solstice, yule on December 18, 2016 by Debbie. Part of living a shamanic lifestyle is being attuned to the cycles of Nature, whether it be the phases of the moon, life cycles of the animals, fish and plants or the cycle of the seasons. Those of us who choose to walk a Shamanic/Druidic/Pagan path often acknowledge the “turning of the wheel” or cycle of seasons with some type of ceremony. Some celebrations are are grander than others, and some are very simple ceremonies. 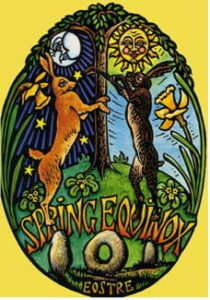 The Spring Equinox is a day to celebrate the revival of life after a long cold winter. Our focus shifts from internal to external, from preparation to action. This is a time of renewal and rebirth…Eggs are hatching, birds are returning from their migrations, butterflies are breaking from their cocoons, plants are celebrating the return of warmth with vibrant greens and flowers of every color, the trees are bursting with new buds, and baby animals are appearing in our yards. This entry was posted in ceremony, Nature Wise, Spring Equinox, Wheel of the Year on March 12, 2014 by Debbie. This entry was posted in Celtic, Imbolc/Candlemas, Nature Wise, pagan, Wheel of the Year on January 30, 2014 by Debbie. The Wheel of the Year has turned once more and the Winter Solstice is upon us again. 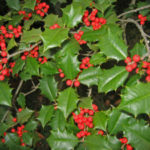 Over the years we have offered up ideas for celebrating Yule, or the Winter Solstice. 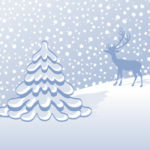 You can check out this blog in particular – Winter Solstice Celebrations from 2010 . 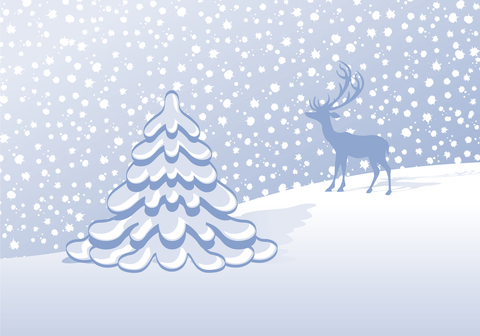 This entry was posted in ceremony, meditation, Nature Wise, shamanic journeys, Wheel of the Year, winter solstice, yule on December 19, 2013 by Debbie. I recently received a newsletter from one of my suppliers with an excellent article on honoring our ancestors by creating an ancestor altar that I want to share with you. Thank you Jacki Smith at Coventry Creations for this wonderful article. This entry was posted in Ancestors, ceremony, Nature Wise, Samhain, spirit guides, Wheel of the Year on October 8, 2013 by Debbie. Well, Spring sprung at 4:03 this morning heralded with a healthy dose of rain. Believe me, I didn’t “spring” to see it. I was still wound tightly in my blankets, enjoying the warmth and dryness of my bed. This entry was posted in Eostre, Nature Wise, Spring Equinox, Wheel of the Year on March 20, 2013 by Debbie. I have been studying Celtic Shamanism for quite a while and am about half way through my Bardic training. Eventually I will complete the Druidry course, but it is a ways out. Bards are storytellers, poets and musicians. Since Celtic society was an oral tradition, they were also the keepers of tradition, of the memory of the tribe. 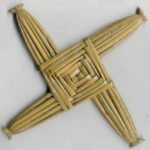 This entry was posted in Ancestors, Celtic Shamanism, Nature Wise, poetry, Samhain, Wheel of the Year on October 31, 2012 by Debbie. This entry was posted in Nature Wise, shamanic journeys, shamanism, Wheel of the Year, winter solstice, yule on December 20, 2011 by Debbie. Wow, can’t believe it’s August 1 already. This year is flying by. Fall will be here sooner than we think. August first is the beginning of Lughnasadh (or Lammas). This is the celebration of the first harvest. Depending on your traditions, Lughnasadh is celebrated from August 1 – August 15. The name of this festival is Irish Gaelic for “Commemoration of Lugh”. Lugh is associated with the power of sun and light, and so fires were burned in honor of him on this day. In addition to his associations with light, Lugh is a God of Skill and Craft, a master of all human skills. This entry was posted in Celtic Shamanism, fall, harvest, Lugh, Lughnasadh, Nature Wise, shamanic journeys, Wheel of the Year on August 1, 2011 by Debbie.